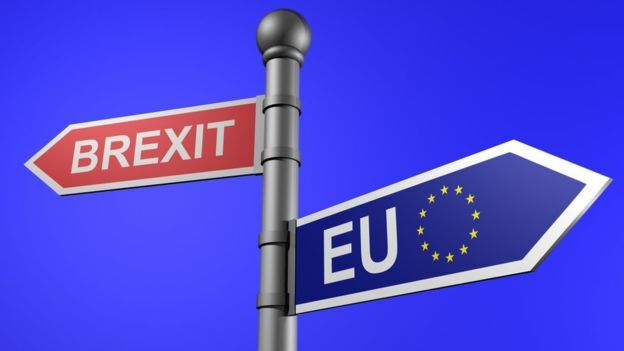 The 23rd June referendum vote in favour of the British exit from the EU came as an enormous shock despite the warnings from pollsters, which many EU politicians did not take into consideration. However, this is typical for the European politicians who live in their ivory tower. The first consequence is an unwelcome period of uncertainty. But, as with any major shock of this kind, the immediate warnings of disaster and market collapse normally dissipate as thinking adjusts. The bureaucrats will now begin to pick up the pieces and work around the complexities, to leave this all to chance. For consumers, the single aviation market and the US-EU Multilateral Open Skies Agreement are the most immediate issues. For European services, the likely outcome is for the UK to negotiate single market access, as Norway and others have, through the ECAA, although they are not EU members. This would broadly maintain the status quo from a consumer perspective and the UK’s airlines would retain full market access. UK airlines would have to comply with associated EU regulations, despite having no say in their formulation, which is exactly the opposite of Brexit’s supposed objective, namely giving the UK greater independence. And the North Atlantic agreement has become so important, for liberals and protectionists alike, that a UK disappearance is most unlikely. The UK referendum vote to leave the European Union is technically not legally binding on the UK government, nor on the EU, but politically the UK would have to perform contortions to override the popular decision. At this stage there is still no official announcement according to the date that the UK will leave the European Union. Supposedly one is now preparing the negotiation team and the negotiations themselves. To trigger withdrawal, the UK government must give notice under article 50 of the Lisbon Treaty. If article 50 is invoked, the UK will begin the process to leave the EU. This can take up to two years and even more. Once it exits, the UK will no longer automatically qualify for membership in the EU single aviation market, which has for example allowed EasyJet, registered in the UK, to fly largely without restriction from the UK to other member states, wholly between other markets (e.g. between France and Germany) and wholly within some countries (e.g. domestic routes in Italy). In the meantime, there will be instability and uncertainty. A worst case scenario would be the UK losing single market access. However, the ECAA (European Common Aviation Area) offers a route for UK airlines to access the single aviation market, post Brexit. The ECAA extends the liberalized aviation market beyond the EU member states to include Norway, Iceland, Albania, Bosnia and Herzegovina, the former Yugoslav Republic of Macedonia, Montenegro, Serbia and Kosovo. The ECAA covers 36 countries and 500 million people. Norway and Iceland (and Liechtenstein) are also part of the European Economic Area, which extends the EU’s wider single market to these non-EU countries. If the UK were to leave the EU, its airlines would no longer enjoy automatic access to this market, although the UK might be expected to negotiate continued access in this way. Another less likely model is the Swiss-EU bilateral agreement on air transport, which came into effect in 2002. To a large extent, this will be in the hands of the UK itself, which must decide what kind of overall relationship it wants with the EU in the future. The ECAA agreement requires that participating countries have a “close economic cooperation” with the EU, although this is not fully defined in detail. The basis for the UK’s future relationship with the EU is not yet known, but it is possible that it could only be permitted to remain in the ECAA if it agreed to the EU principles beyond the realm of aviation laws and regulations, possibly including the freedom of movement of people. It is needless to say that the negotiations will be though. During the referendum campaign, prominent members of the Leave Campaign suggested that the UK would not want continued full access to the European Single Market, because they did not want to continue with the free movement of people. This broader point will be a crucial decision for the UK when it enters exit negotiations with the EU. Although the ECAA still seems the most likely mechanism for the UK to continue the status quo in terms of aviation market access, it is not a forgone conclusion that this will be possible. As with all issues related to the UK’s future relationship with the EU, there is currently no clear answer. UK-based easyJet’s short statement issued immediately after the referendum urged the government to maintain single market access as a priority. Even the uncertainty is an important drag on commercial activity (as demonstrated by a profit warning from the IAG the day after the result on the vote and a subsequent profit warning from EasyJet on 27th June 2016). In some ways similar are considerations related to the Big 3 European airlines’ cross-border groupings, Air France-KLM, Lufthansa and IAG. Each relies on acceptance by other members of the EU. While IAG may appear more at risk in this respect if the UK exits, the reality is that they are all joined at the hip: each needs to be recognized by the others. If the other countries do not accept the very European nature of the agreements/mergers, their airlines will not be able to operate freely in those other markets. But, despite that, it does raise another area for horse-trading that will add to prolonged uncertainty in the market. And once the horse-trading begins, there can be no certainty that other areas of trade and politics will not pollute any logic that applies in the aviation sector alone. The North Atlantic Open Skies Agreement has become so entrenched in the operations of European and North American airlines that it is almost inconceivable that anyone could wish to see it unravel. Technically the agreement is still being applied provisionally, so that withdrawal of any party can allow the pre-existing bilateral agreement to apply – in this case the so-called Bermuda 2 Agreement of 1976 between the US and the UK. But, as the US negotiator responsible for the EU-US talks, John Byerly stated: “It is impossible for me to believe that this is really what would happen in the real world”. The various parties’ interests have become so entwined that there would be at least be more losers than winners if the status quo were to be disrupted. There is little prospect that any party would wish to rock the boat while the Brexit process is being followed, a potentially lengthy period. The anti-trust immunized jointventures of the major alliance partners are dependent, from a US perspective, on continued open skies. Theoretically the UK could be extricated from that, but London Heathrow is the prime premium market, will always be an important gateway to Europe, and there would be considerable pain for any airlines unable to use the open skies umbrella for their alliance strategies. Delta Air Lines in particular has a bilateral stake with its 49% ownership of Virgin Atlantic, possible only thanks to the existing open regime. This level of ownership could be at risk if a more restrictive regime would be applied. There can be no guarantee of restoration of the status quo once the fragile buds of liberalization are disturbed. One needs to keep in mind that, opening of markets is not an intuitive activity, but is only achieved by meticulous and time consuming negotiation, where partners are willing to forgo the (apparent) safety of the status quo for a leap of faith to a better system. Yet that is the only way markets and society can adapt and improve. Today, all of these liberal ideals are under fire. The motives may be misguided, and almost invariably are, but they can contain powerful and destructive forces. Once the careful process unravels, the outliers can become revitalized. Vested interests re-emerge, and they are many and varied; legal challenges on esoteric points can be revived (e.g. 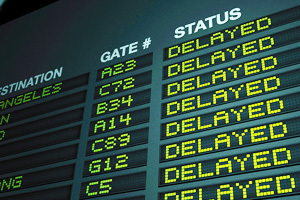 the US and other pilot associations against Norwegian’s US-Ireland services); extensive delays can create uncertainties, which undermine innovation and investment. The EU recently published an aviation strategy that contained a lot of compromise wording. All six associations representing Europe’s aircraft operators issued a joint response calling for more specific and far-reaching remedies. In a rare display of unity, AEA, EBAA, EEA, ELFAA, ERA and IACA said that that the strategy ‘lacks ambition’. It certainly seems to duck some key issues. As CAPA also noted, “parts of the document appear to be aimed at, or at least inspired by, fighting competition from the Gulf-based super connectors. ”For the EU aviation industry to remain competitive, it is essential that market access is based on a regulatory framework which promotes EU values and standards, enables reciprocal opportunities, and prevents distortion of competition”. 5. Should ICAO play a role? There is already an EU regulation, Regulation 868/2004, that deals with subsidies and unfair pricing, but it is considered to be ineffective and has never been applied. How it will be replaced is not yet clear, but, in addition to the suggestion that term be included in individual air transport agreements, the Commission suggests that ICAO should play a role, and that it may propose new EU measures in 2016. It seems that the Commission was reluctant to take sides on the debate over unfair competition with Gulf airlines. The forthcoming parallel negotiations with the Middle East/GCC airlines could take on a much more conservative flavor. 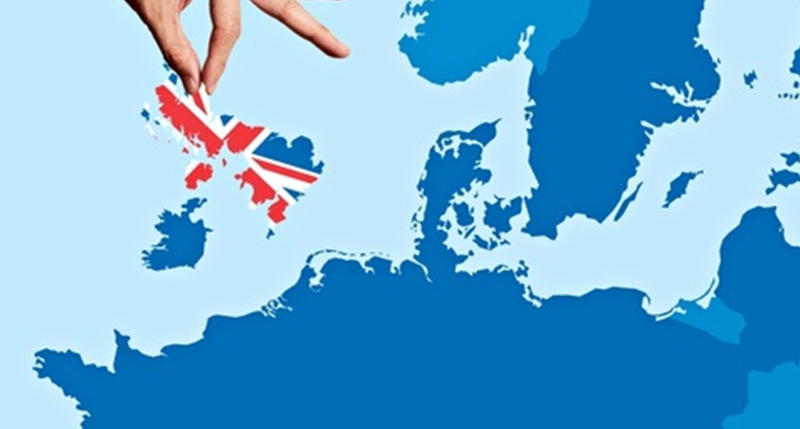 Moreover, there is a threat – again not one to be taken lightly – that the UK could become segregated from the existing and in-negotiation parallel agreements. In that case, the UK would be obliged to fall back on country by country bilateral negotiations to restore its access positions. With the triennial ICAO Assembly approaching in Sep-2016, it can be expected that many of these issues will be aired. In particular, the conservative forces will argue strongly for more careful oversight of “unfair competition”, “subsidy” and the need for the mythical level playing field. 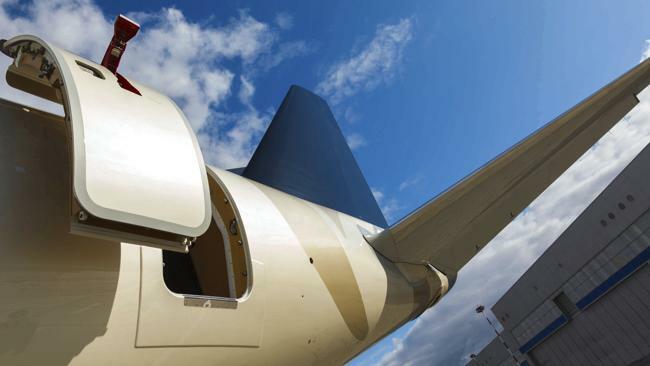 Even the US, on the eve of a Presidential election and with an administration that has equivocated over such issues as Norwegian Air International and the so-called White Paper, may adopt a passive position. In many ways, for aviation, the Brexit timing could not be worse. It has always been the case that airlines, notably flag carriers, have occupied extremely influential positions in determining aviation policy, nationally and supra-nationally, in the EU. As uncertainty swirls, the airports of Europe and North America particularly will have an increased role to play in stabilizing national policies and helping preserve an environment, which allows growth and innovation. Hopefully there will be statesmen from some leading governments prepared to show leadership, rather than the often tepid consensus-driven populism that has led to a crisis in the EU. The EU single market took a decade and more to negotiate, within what was already becoming a common market. Elsewhere, there is greater impatience with the shackles of ownership and control limits. New hybrid vehicles for more open operations are emerging on international routes, as times change and the global balance of power shifts towards Asian markets. One option to preserve trans-border networks for airlines is to replicate the prolific Asian low cost carriers jointventure networks that allow multiple licenses in individual jurisdictions while maintaining a common brand. This is no easy solution, is not guaranteed and introduces challenges, yet it has proven highly effective in Asia. It would be ironic if the UK, were forced to follow the lead of the still-less liberalized Asia Pacific market. The single EU aviation market has been a model for others – including ASEAN – to aspire to and build upon in order to further social, cultural and economic benefits by knitting the world closer together through aviation. The benefits have been profound and are an often unrecognized accomplishment of the 20th Century. Preserving those benefits may not be easy but they are of great importance – and losing them would be a massive step backwards, as another change in an atmosphere of liberalization globally was wound back. A Member state which decides to withdraw shall not notify the European Council of its intention. In the light of the guidelines provided by the European Council, the Union shall negotiate and conclude an agreement with that State, setting out the arrangements for its withdrawal, taking account of the framework for its future relationship with the Union. That agreement shall be negotiated in accordance with Article 218(3) of the Treaty on the Functioning of the European Union. It shall be concluded on behalf of the Union by the Council, acting by a qualified majority, after obtaining the consent of the European Parliament. The Treaties shall cease to apply to the State in question from the date of entry into force of the withdrawal agreement of, failing that, two years after the notification referred to in paragraph 2, unless the European Council, in agreement with the Member of State concerned, unanimously decides to extend this period. For the purposes of paragraph 2 and 3, the member of the European Council or of the Council representing the withdrawing Member State shall not participate in the discussions of the European Council or Council or in decisions concerning it. A Qualified majority shall be defined in accordance with Article 238(3)(b) of the Treaty on the Functioning of the European Union. So one will see when London will triffer Article 50 of the Lisbon Treaty, and hopefully the European Union will not be non-unified block of 27 countries against the UK. Future will show. © 2016 A. Flieger – This publication is defined to provide accurate and authoritative information in regard to the subject matter covered. It is transmitted with the understanding that the publisher is not engaged in rendering legal, or any other professional services. If legal advice or other expert assistance is required, professional services should be sought. You can always contact A. Flieger at flieger@fliegerlaw.com.